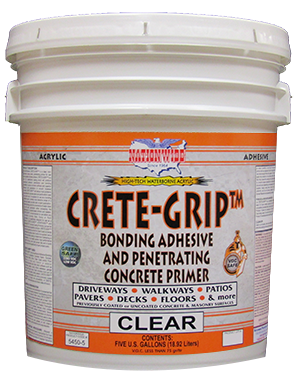 CRETE-GRIP™ is a clear, non-pigmented, acrylic epoxy ester, penetrating primer for use over uncoated concrete surfaces. 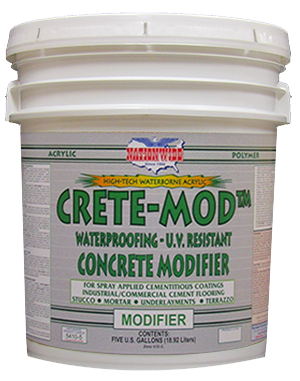 CRETE-GRIP™ is a Low V.O.C. waterborne coating which will produce exceptional adhesion, penetration and bonding properties to porous concrete surfaces and superior adhesion and penetration to smooth troweled concrete. 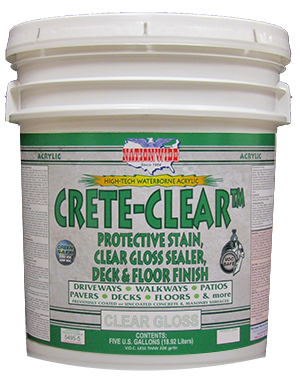 CRETE-GRIP™ will reduce most problems associated with concrete stains and paints when used as a primer coat. 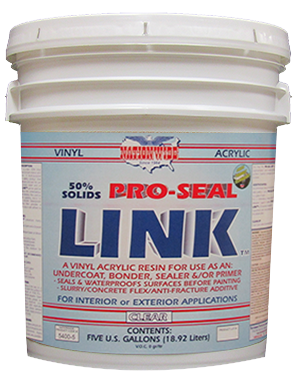 It is excellent for use as a bonding adhesive coat to remedy most defective areas when failure is down to bare concrete.